This will be the third year of what is now an annual (and award-winning) event taking place in the town centre. 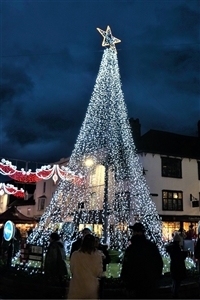 The Victorian Christmas Market is a themed event with stall holders wearing Victorian outfits. There will be entertainment throughout the town; a stage in Henley Street will host a programme of performances. There will be a traditional funfair, which will include a carousel situated at the bottom of Wood Street and on the Rother Street market area.